With its powerful 20,000mAh battery, this solar power bank will provide many more hours of usage for your electronic devices and will seem like an endless power supply thanks to the constant charging by the solar panels. Also included is a handy button to show the amount of power left in the battery and when it's low, just use the car charger, wall plug, or even leave it out in the sun to quickly recharge. 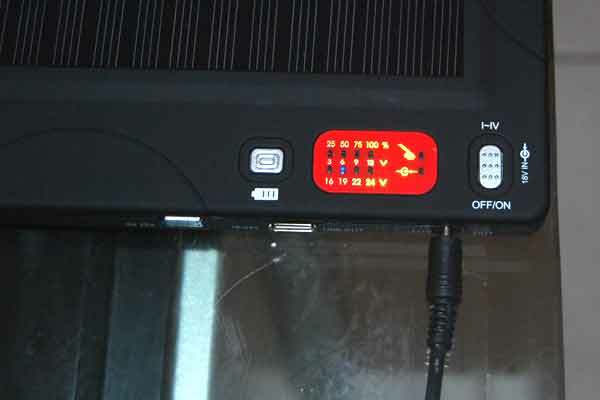 When you power on the laptop(notebook), just choose the 19V charging voltage, and only charge for the right voltage, if not the right one, it can't work. 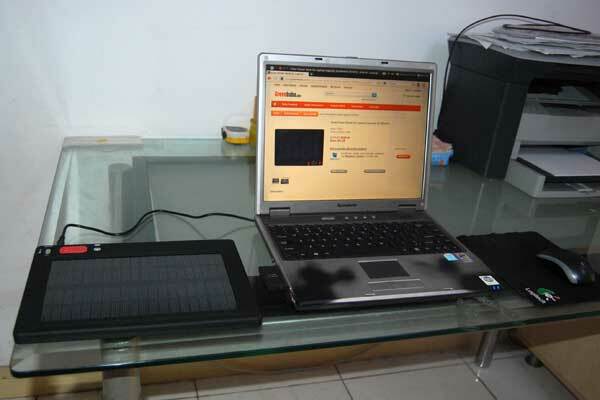 At the same time, the hybrid solar laptop battery charger supports for manual adjustment. Intelligent overpressure also has the overcurrent protection, when manually select the wrong time, it will automatically shutdown. This portable solar charger also comes with a voltage selection button to ensure full compatibility with a wide variety of electronic products, such as MP3/MP4 players, portable DVD players, cell phones, or any other USB powered device using the built-in 5V USB port. Power, the nice thing about this solar laptop charger is that if you don't have sun, you can still have portable power by charging up the 20,000mAh internal battery in a wall socket and waltzing off to wherever it is you need backup power. It just takes less than 3 hours of wall charging to fill it up and the internal battery provides 10 - 12 hours of run time for your laptop with a full charge. PSP and many other electronic devices. This solar power bank is so useful. I can recharge my iPhone, ipod touch and iPad. This would be perfect for anywhere. I can use for camping also. Ill keep my review simple considering everyone else has had similar results as mine. It works like it says it will, my main concern was that it could charge bigger gadgets, mainly my ipad and camera gear. It does, and it does it fast. Excellent product. After fully charged, and after it has charged my laptop, it still has energy (40%). The power indicators works wonderful. It has a lot of standard cable connections. Work great for powering my gaming notebook . 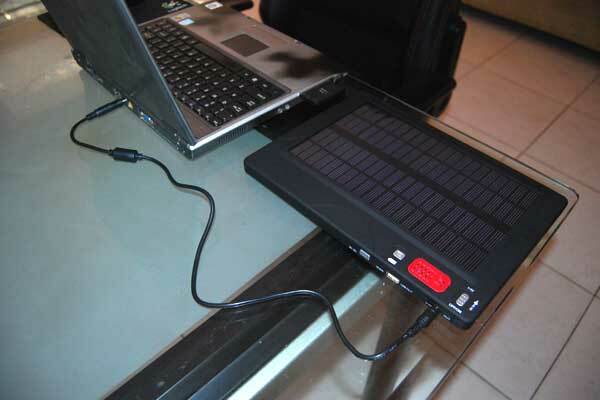 I love this solar laptop charger! I bought it before I went on a trip to Europe for half a month, and it was very useful because I could charge it up all the way at night, and then if any of my devices (or my friends') died during the day, where it was near impossible to find a power source, they could be charged. Very satisfied. I've bought dozens of solar chargers, but nothing compares to this one. This is absolutely the best I got currently. It has all the features, quality, safety and with good workmanship. Best of all it's the most powerful unit on the market in this size. Good looking item and very useful - it gives laptop and mobile devices more autonomy. Bought one to take it with me to the desert. It works amazingly well to provide quite enough power for my laptop and cellphone. Indeed it is a good companion for those frequent adventurers.